Nice press coverage about the FISH FACE project in German and Swedish press! Here are the latest articles about Fish Face! Going Green at the Schoenbrunn Castle - peak moment for Sustainably Smart! Meet us at Going Green - CARE INNOVATION 2018in the historic Schoenbrunn castle in Vienna on November 26-29! The EU project sustainablySMARTwill organise sessions on “Circular Design of Mobile Devices” and “Smartphones: Repair, Remanufacturing and Reuse of Components” on November 29, 2018 as well as show several live demos during the Going Green conference. In our project exhibition booth you can see demos of the Phones Sorter by Refind, test services by Grant4Com, component re-use by ITR and Semicon, the Puzzlephone prototype by Circular Devices, embedded modules by AT&S, Speech and Fraunhofer IZM, data erasure from Blancco and D4R tablet by MicroPro. On November 30, we will have a live demo together with ProAutomation of the automatic sorting and disassembly of smart mobile devices during the Technical Excursion to ProAutomation´s facility in Vienna. The rest of the conference program will feature the latest in circular economy, environmental design, clean manufacturing, resource efficiency, climate change, new eco-efficient technologies, collection, reverse logistics, refurbishment, carbon trading, re-use, recycling and policy making from leading experts in industry, academia, consulting, recyclers and public area around the globe. Leading companies and institutions in green electr(on)ics will present their innovative products, processes and services at the exhibition. Refind sells battery sorter to CMA Ecocycle in Australia! 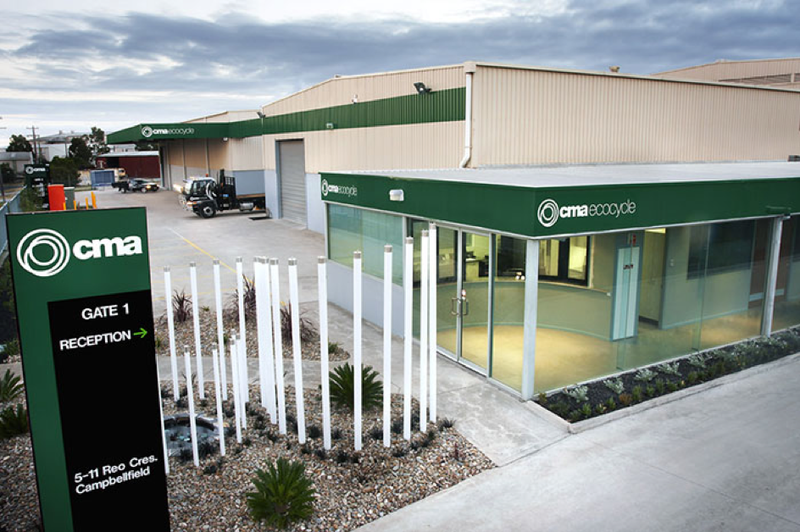 We are proud to announce that our technology is entering the southern hemisphere and more specifically Melbourne in Australia, where the leading Australasian electronics recycling company CMA Ecocycle is located. CMA Ecocycle are growing their business and are in the process of building a new facility, where the battery sorting process will take place. The OBS500 will be the first automatic battery sorting line installed in Australia. CMA Ecocycle is originally a mercury recovery and recycling company, that handles lighting equipment, medical waste, electronic waste and batteries. The company has a high level of automation and always aims to work with state-of-the-art equipment to get the most out of the material. For us at Refind, it is of great value to expand into yet another country and region of the world. However, it has also raised concerns in terms of maintenance availability and the battery database update, but we have seen the issues as opportunities by going straight at them. For example, we have now developed the scanning software so that most of the battery scanning process, that is needed for adding new batteries to the system, will be possible to perform by using the battery sorter. The OBS500 will arrive to its new home in Melbourne towards the end of the year. The official opening of the new process line at CMA Ecocycle will take place in the 1st quarter 2019. 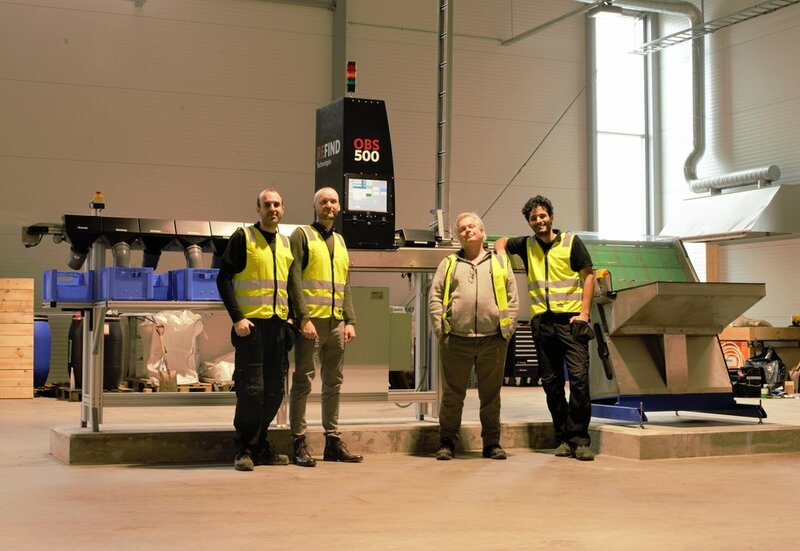 Successful installation of the OBS500 in Norway - the third generation battery sorter delivers! We are proud to present the successful installation of our new battery sorter, the OBS500, at the brand new facility of Batteriretur in Fredrikstad, Norway! The shipping, installation and commissioning went smoother than ever before and it is very much thanks to the new space efficient design of the equipment. Less parts, less need for assembly, smaller footprint and more standardised packaging and testing has made the installation easier and better. During a couple of days the machine was installed, staff was trained and the sorting process up and running. This was followed by the final quality tests performed this week, showing the best sorting results ever! It was a true pleasure to install the equipment at Batteriretur. They have made great efforts in building a new energy efficient battery sorting plant right by the waterfront in Fredrikstad. Proud Refinders in front of the OBS500: Amir, Fredrik, Dan and Farshid. As you have heard in earlier posts, this step feeder design is the third generation of our sorting machines. We first used vibrating shaker boards and directional carpets to line up the batteries. It looked nice to begin with, but in the end it turned out to be quite challenging. If the batteries were dirty, the dirt stayed in the carpets and decreased the performance. For the second generation, we invented our own system, a series of V-belts and gravity as the speed accelerator. It was great in terms of speed and performance, but required quite a lot of space and used many moving parts. We still wanted to build something that would be more space and maintenance efficient - and finally found a good sub-supplier and development partner to do this with by the end of 2016. After a lot of work and prototyping, we introduced the third generation - the step feeder - during the fall of 2017, which we now installed in Norway. It has a slightly lower throughput than the second generation, but we believe that in the long run this machine will be a winner - being more reliable and require less maintenance! Here is a short movie showing the different feeding designs! FISH FACE project goes on board! We are happy to announce that we are launching the next phase of the FISH FACE project together with The Nature Conservancy! Until now we have verified that our software can handle fish species recognition by collecting fish images taken in a on-land fish photo booth. The next step is to design, build and install an on-board photo capturing device to be used on some of the small fishing boats of Indonesia. The purpose of collecting the images and recognise them automatically is to understand the fish populations better by gathering information about the species, the age, the size and the geographical origin in a more efficient way. We work closely with The Nature Conservancy who are involved in many different fish-related projects - and hope to make a large impact on the fishing industry and fishing research by introducing artificial intelligence and automation. This phase of FISH FACE is planned to take about a year and will involve several field trips to Indonesia for testing and try-outs. 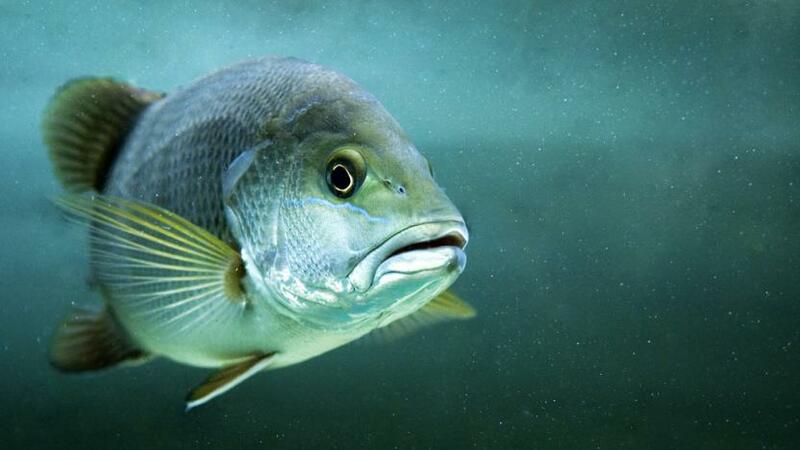 The new fish photo booth should accommodate fish sizes up to 80 cm long, and later on even larger fish. Given the rather rough conditions on these types of boats, the device must be robust and foot print efficient as well as not cause any extra handling for the fishermen. Quite a challenge - stay tuned! Most frequently asked questions - answered! We have compiled the most frequently asked questions we receive from you. Hopefully, they provide some more insight into our operations. 1. What kind of objects are Refind's systems capable of identifying? We have been asked to identify all kinds of objects: both crazy and normal stuff. Body parts in trash, coconut grading as the unexpected objects and used electronics and defects in furniture as more on the normal side. Important questions in return that we ask the customers are WHY (why automated and not manual) and HOW (how do you tell it apart), and then we weigh that against what different sensors would be able to perform. 2. What kind of sensors do you utilize? We use all kinds of sensors and combine them on our technical software platform; the neural networks can use different sensors as data input sources. However, to have everything takes time and usually costs more than it is worth. Also, a limitation of sensors usually increases the processing speed. The most important sensor for our current applications is an RGB camera for taking images. We also use laser sensors for identification of sizes or location detection. 3. How do you select the right kind of sensors for each system? The sensors are selected based on the material to be sorted. We can use material specific sensors (like NIR, X-ray, LIBS or something else that can only tell what material it is). This makes sense when you are dealing with objects with homogeneous material. There are many companies already doing this. 3.1 Following up on that, how does Refind differ from other companies? We focus on objects with complex material structures, like whole products, used electronics, where a material sensor does not make sense. You need to understand what model something is for it to be useful information for the customer. Then a camera is the best thing. 4. What kind of camera do you utilize? So far, we are doing fine with our RGB camera, but it is similar to a one-eyed person that cannot tell depth. By adding a 3D camera, we have basically added another eye, allowing for depth check, which makes a big difference for recognizing items in a co-mingling environment. 5. How does your classification system work? A computer program is fed with images of known identity for example "this is a picture of a computer", it then learns what to look for in these images in order to correctly classify them. Once the system is trained, the learning process stops and it is used for real-time classification of the objects that are being sorted by our machines. 6. How accurate are the classifications? It depends on how many images the system has got access to for training itself for the task. More images give better accuracy. The battery sorters produce fractions of 97 - 99% purity. 7. How many different kind of objects can you recognize? AND How many images do you need per object to be recognized? The system can recognize as many objects as have example images of. The number of images needed is different depending on the objects and kinds of images we get, from 30 and up to several thousands depending on the object. Do you have a question for us? Don't hesitate to email us at info@refind.se or give us a call at 073-310 03 62. We are proud to announce that we have been invited to speak about our recognition technology at the 10th International Illegal Unreportered and Unregulated Fishing Forum at the Chatham House in London on March 16-17. Our machine learning expert Rasmus will present possibilities and opportunities within fish identification and learn more about the subject from the knowledgeable list of other speakers as well as from the audience. Refind as a showcase at Vinnova! On January 31st, Refind was invited to Vinnova to talk about how to write a successful application for the Eurostars research program. Our CEO, Johanna Reimers, presented Refind and the SOMEWAIR project and how the application was done. This application was created together with DTI, Danish Technology Institute, with whom we are working closely with in the research project. The application obviously went fine, the presentation was also OK and how is the project in itself going, you may wonder? Well, it is going very well. We are now developing our first movie recording scanning program, allowing multiple items to be added to the database simultaneously and continuously. This will also allow the classification of several items in parallel. The Vinnova presentation is all in Swedish, enjoy! If you are interested in more information about the Eurostars program, read here! Meet and listen to us in Salzburg 17-20 January 2017! As usual, Refind will exhibit at the International Electronics Recycling Congress in Salzburg on January 17-20! New for this year is that our CEO Johanna Reimers will be speaking about our sorting technology in one of the seminars - the "Sorting technology" session on Thursday January 19th in the afternoon. Don't miss the speech called "Is More Technology Really the Solution to the Challenges within Circular Economy?". Check out the entire program here. Also new for this year is that we will bring our latest machine - a small desktop sorting unit including a robotic pick arm. As of now it can sort phones and fish - come and have a look at it in our booth! We won the Google Impact Challenge Australia 2016! We are happy and proud to announce that the FISH FACE project won the People's Choice Award in the Google Impact Challenge Australia 2016! Since another project, the Great Barrier Reef Foundation, got as many votes as FISH FACE, Google decided to award both projects the extra 500 000 AUD funding. More info about the project on our Research page or on The Nature Conservancy page. 13 December 2017 - Refind sells battery sorter OBS500 to Norway! Tying knots instead of cutting ribbon as part of the inauguration of CHAIR - Chalmers Artificial Intelligence Research Center!